The Backstreet Boys died for your sins. OK, not your sins, rather those of the Clay Aikens and Anthony Fedorovs who followed in BSB's boy-cooing footsteps. For after having ruled charts and hearts with their steely brand of harmony-laced Caucasoid new-jack soul, BSB went away in 2001. Said it was to regroup, withdraw from bad habits. Maybe they had a sugar rush. But on Friday at the Electric Factory - to a sold-out crowd of shrieking girls - AJ McLean, Nick Carter, Howie Dorough, Brian Littrell and Kevin Richardson came to reclaim their crown. 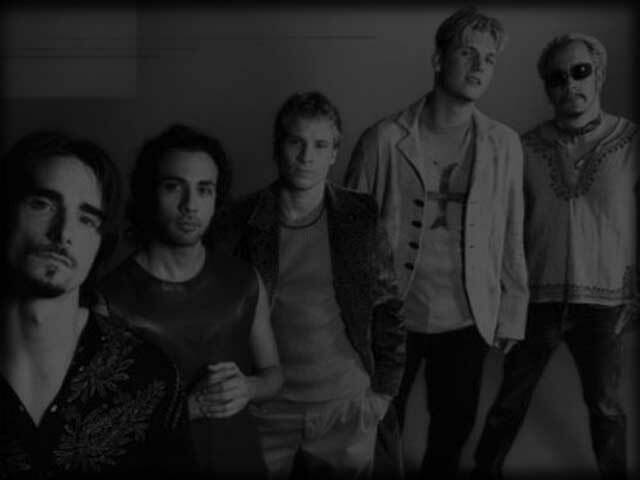 Though they say they're concentrating on the music now, rather than dancing and costuming (how novel), BSB could have done better than the ill-fitting, unmatched white blazers and fedoras they wore atop what would have, in the long-ago '90s, been tagged "grunge": flannel checks, ripped jeans. Still, if they were here for the music, I'm here for the music. That unfortunately meant Littrell ("the cute one until he lost all that hair," said one girl next to me) squeaking through limp anthemic ballads old ("More Than That") and new ("Weird World"). That meant a chunkier-than-previously Carter, on his knees - an act of groveling surely derived from dating Paris Hilton - unnervingly and tunelessly howling through "Shape of My Heart." That meant awful cornball attempts at Korn-like metal and drippy Radiohead-esque shuffles. Yet that also meant BSB's house-pop arrangements of cheesy guitars and chopping syn-strings were happily intact behind heavenly, flawless harmonies in songs such as "The Call." Even some of the Boys' experiments in deglossing their sound worked wonders. While the group lifted the slurry infectiousness of "I Want It That Way" and a dirty Kraftwerkian stab at "Larger Than Life," newer tunes - the half-steeping soul of "Beautiful Women," the acoustically strummed nervy jangle-pop of "Climbing the Walls" - benefited from raw arrangements and wide-screen vocals. Reluctantly, I welcome Backstreet back. But 98 Degrees better not try this same stunt.